The information letters with individual fall lesson times were mailed July 20, 2018. No lessons Dec. 23, 2018 - Jan. 1, 2019.
who begin Jan. 11, 2019. Halloween Workshops: Oct. 28, Sunday, 2:00-3:00 & 3:00-4:00 p.m.
For students only, in the studio. Sign up in entry way. Come in costume, if you'd like!
. Pre-college students: Sign up for a one-hour workshop in entry way (after Thanksgiving) to play your favorites! Adult Potluck Workshop: Dec. 9, Sunday, 6:00-8:00 p.m.
Come with salad, dessert, or fruit to share, play a favorite piece, and enjoy fellowship & dinner with other adults! Sign up in entry way after Thanksgiving. This is informal, and fun!! Some organizations have not yet published dates. This website will be periodically updated upon receiving them. at Hennepin Ave. United Methodist Church. Meet these young artists at the receptions following the performances. Quiet children are very welcome - listening and seeing will be inspirational! All other concerts are free and open to the public; donations are graciously accepted, as all SsL concerts are funded by the generous support of its patrons and members. Performers: please arrive 20 minutes early to try out the piano. Nov. 18 - MacPhail Center for Music, Mpls. Dec. 2 - MacPhail Center for Music, Mpls. Jan. 6 - MacPhail Center for Music, Mpls. Apr. 14 - MacPhail Center for Music, Mpls. (L) = Lollipop recitals also held on these days for students ages 8 and under as of 9/1/17. No judges are present for Lollipop, Composition, and Adult & Teen Beginner recitals. 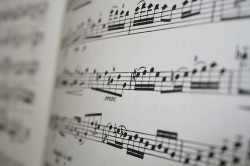 Students must have recital pieces memorized and performance-ready before registration. Registration fees and time requests are due by Jan. 1, 2017. Pieces must be memorized and performance-ready by Jan. 25. Pieces must be performance-ready and memorized 6 weeks prior to performance. Doors open at 6:15 p.m.; performers should be seated by 6:30 p.m.
Group photos are taken during the dress rehearsal. Allow extra time for traveling and parking. Each rehearsal will take about an hour. For all of those who passed their note quizzes this year, come and celebrate! and who know their key signatures (quiz given). Registration and pre-payment (10.00 per student) required by Apr. 15. Time requests due 3 weeks before the recital day, though best to reserve times as listed above. Pieces must be recital-ready and memorized 4 weeks before the recital day. Preliminaries: Dec. 1, 10:00 a.m. - 5:00 p.m.
Finals: 7:30-9:30 p.m. - Doors open at 7:15 p.m.
WIRTH CENTER FOR THE PERFORMING ARTS SPRING GALA: May 4, 2019, 6:30 p.m.